The vastness of the ocean presents a daunting challenge for scientists: How can we interpret trends in ocean ecosystems when the measurements we make are few and far between? In the open sea, most scientists have historically relied on ships to transport them perhaps no more than once a year to locations where they spend only a short time capturing a snapshot of ocean conditions that prevail below the sea surface. In the coastal zone, where conditions may change hourly, most sampling is done no more frequently than once a month. Far offshore, processes that drive ecosystem structure and function often work on a seasonal time scale. Closer to the coast, similar processes operate much more rapidly. The problems this presents lead to a singular conclusion that all ocean scientists agree on: the ocean is grossly undersampled! Current records of fundamental ocean properties such as oxygen, pH, nutrients, or chlorophyll describe a range of ocean states. However, the sample-to-sample variability observed in ocean time series may not necessarily reflect actual trends at any given location and time because so few measurements are collected for extended periods and in rapid succession. Furthermore, the limited sampling provides little scientific insight into the processes that actually underlie the snapshot observations. Developing new tools and techniques to overcome these challenges is a major driver of Ken Johnson’s Chemical Sensor Group activities. 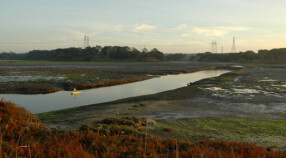 Application of this approach in Elkhorn Slough, near MBARI in Central California, highlights some of the advances in understanding when sampling resolution is more closely matched to environmental processes. Opportunities for deploying analogous sensor suites in the vast expanse of the Southern Ocean provide another perspective on how we can address the fundamental problem of “being there”. The Land-Ocean Biogeochemical Observatory (LOBO) consists of robust moorings that can withstand tidal currents and weather. 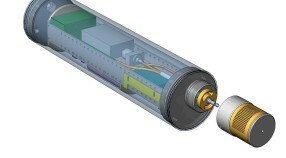 The ISUS nitrate sensor is integrated into the body of a Webb Research Apex profiling float that is of the type used in the Argo array. The ISUS is a sensor used to measure concentrations of dissolved chemicals directly from their Ultraviolet Absorption Spectrum. 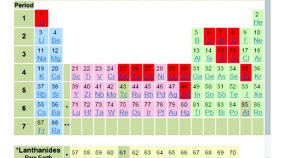 The PTEO provides the mean concentration, ocean residence time, and, where available, a profile for each element in the Atlantic and Pacific oceans.